Franchising is a dynamic business model that has been an integral component of the U.S. economy for a number of years spawning the birth and fueling the growth of millions of small businesses since the 1960s. Despite the significant impact of franchising on the U.S. economy, there have been few studies and a lack of empirical research regarding the franchise industry. This lack of in-depth research and analysis is surprising. For these reasons this current franchise study is ground breaking, since it sheds light on franchise industry trends with the added goal of enabling sustainable franchise system growth which will lead to positive impact on the economy. The report enhances opportunities for small investors by differentiating the healthy franchise systems from poor performers. Prior research from Franchise Grade has examined successful franchise systems, the life cycle of start-up franchisors and other areas of franchising, while differentiating and comparing the attributes of healthy franchise systems to poorer performing systems. 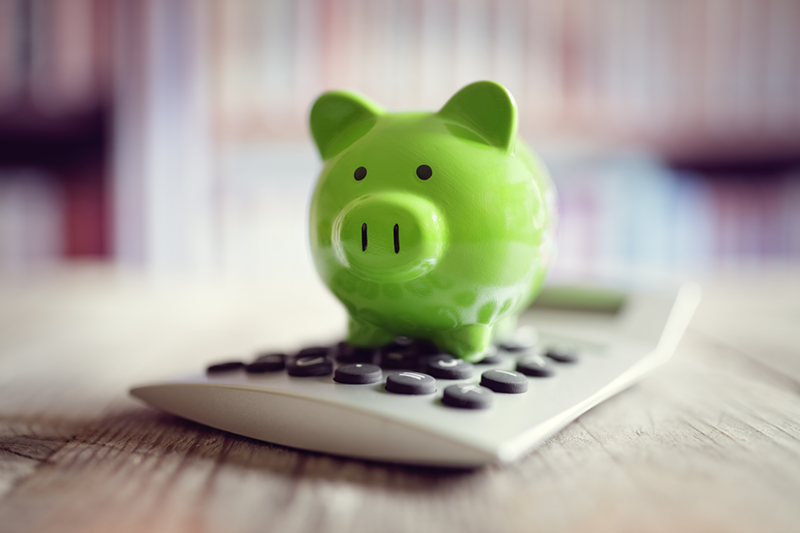 A healthy franchise system is one where the franchisor exhibits sustainable growth, is financially stable, and where franchisees who invest into the system have a reasonable chance of success, profit, and fair return from their investment. The study is conducted based on Franchise Disclosure Document (FDD) information and data from 2010 to 2015 and Item 20 outlet data from 2008 to 2014. The study includes 243 franchise systems or 10% of the franchise systems in our FDD database. The 243 franchise systems ended 2014 with 266,195 outlets which represents 62% of all franchise outlets in the database. Between 2008 and 2015, an estimated $163.9 billion was invested into these 243 franchise systems by new franchisees. There was a 7 year increase of 26,101 outlets since 2008 resulting in an average growth rate of 1.5% per year. 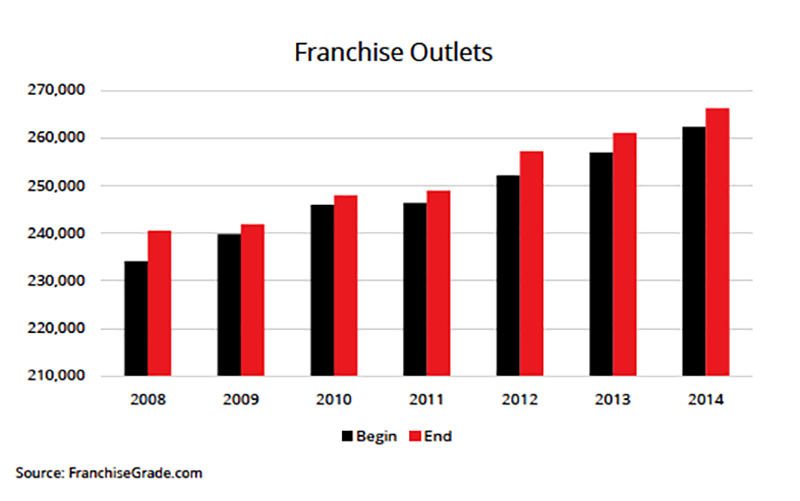 Between 2008 and 2014, Franchise Grade found that the number of franchise outlets grew by 13.7%. 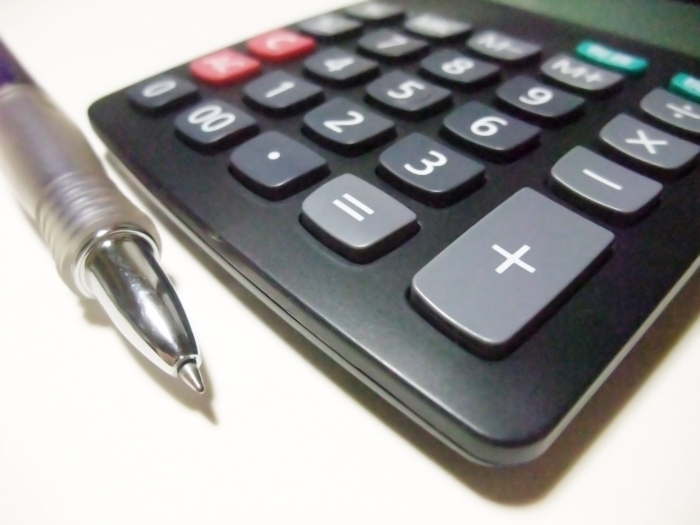 This compares to an International Franchise Association (IFA) reported change of a 0.6% decline for the same period. An important point is that despite tough economic times, franchise outlets continued to grow. This is a testament to the resiliency of chain and franchise model success.